You can’t dislike Ellen DeGeneres. She’s friendly, she’s goofy, she’s charming, and she’s damn funny. Her show, The Ellen DeGeneres Show, is one of the most highly-rated daytime talk shows in an era that’s witness the slow descent of daytime television. 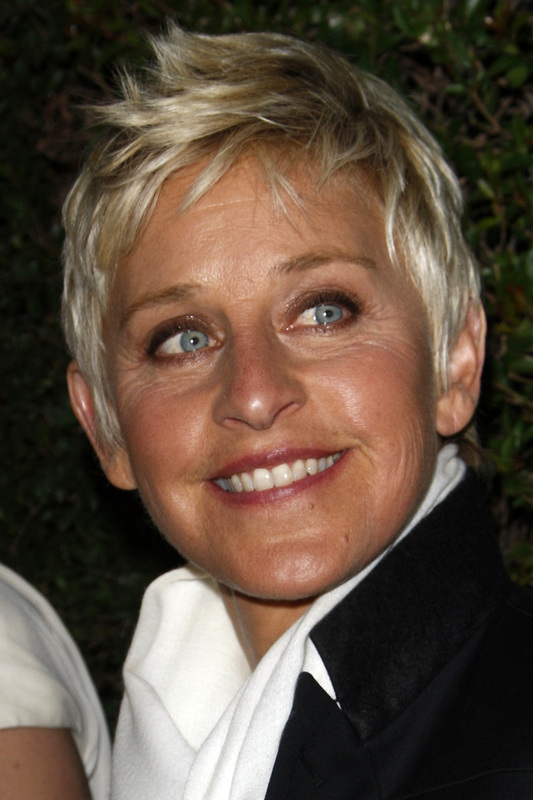 Ellen brings her charm and witty banter to everything she does, including voicing Dory in Finding Nemo, hosting the Emmys and the Academy Awards, and being a judge on American Idol. Ellen is remarkable for another reason: in 1997, Ellen announced publicly that she is gay. She admits that coming out was a risk; at the time, many gay celebrities kept their orientation to themselves, but DeGeneres decided to come out so that struggling gay youth could have a role model. Reflecting on her fears of coming out, DeGeneres remembers thinking, “If they found out I was gay, maybe they wouldn’t applaud…Maybe they wouldn’t laugh. Maybe they wouldn’t like me if they knew that I was gay.” Her fears never became reality. Today she uses her popularity to advocate for gay rights issues, and Ellen DeGeneres was named as a Special Envoy for Global AIDS Awareness by Secretary of State Hillary Clinton in 2011. DeGeneres has become one of the most beloved personalities on television, and we’re not surprised. When it comes to Ellen, you can’t help but love her.